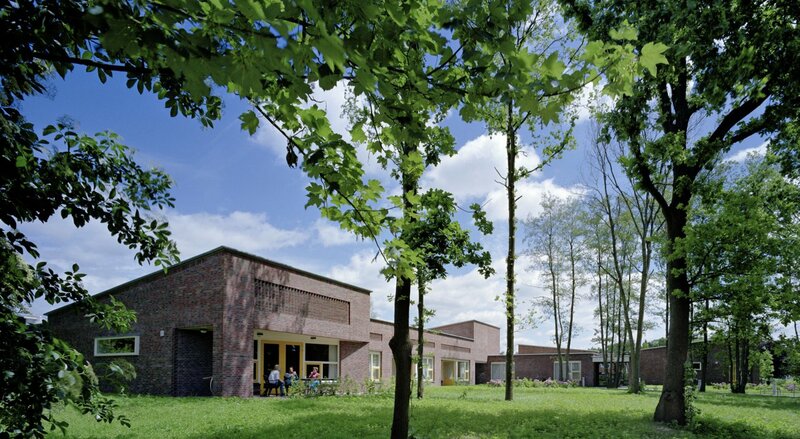 In order to be able to respond to a changing housing market, the municipality of Haaksbergen drew up the policy document Woonvisie 2003+ (Quality of living for young and old) in which the focus was on housing demand and requirements of residents. Physically impaired people were no longer approached as a specific target group, but as residents with a living wish. 'Ordinary living' became the norm. This meant that there had to be sufficient suitable housing, as well as easily accessible facilities and, where necessary, tailored care at home. Citizens could then continue to live in their own chosen home as long as possible and retain control over their own lives. 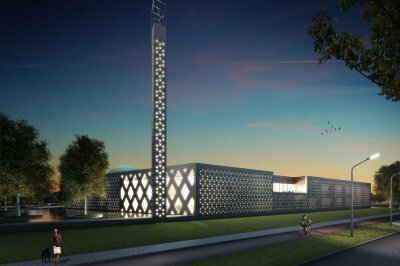 The latter also fitted in with the municipality's aim to convert and dismantle large-scale healthcare facilities such as Het Wiedenbroek and 't Saalmerink. 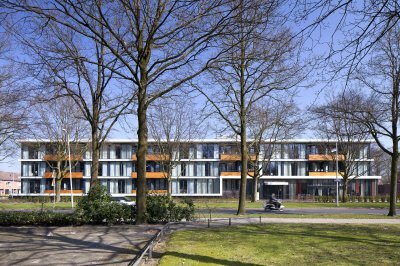 As part of the transformation of Het Wiedenbroek, 33 physically impaired young people were given a new home; until that moment, they had stayed in multi-person rooms on the second floor of the nursing home. 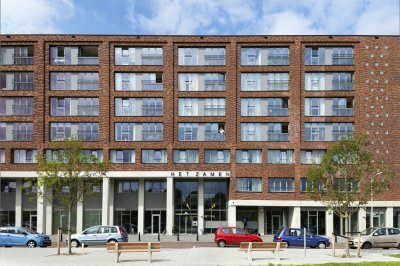 Because of the changed vision on housing and care, 18 of them could move into new apartments at the Wiedenbroeksingel, while the remaining 15 young people came to live elsewhere. The new construction with 18 apartments has been fitted in such a way that the green character of the location at the Wiedenbroeksingel is maintained. The building is divided into two residential groups of nine people, each with their own front door at the Wiedenbroeksingel. Both groups share a living room with kitchen. Between the two living areas there is a general use area with an office/consultation room, a storage room, staff toilets for and an en suite guest room. The apartments consist of a living room with a pantry and an en suite bedroom. The living room gives access to a terrace which forms a recess in the building block. Because the window at the terrace moves around the corner, generous sight lines arise from the living room.